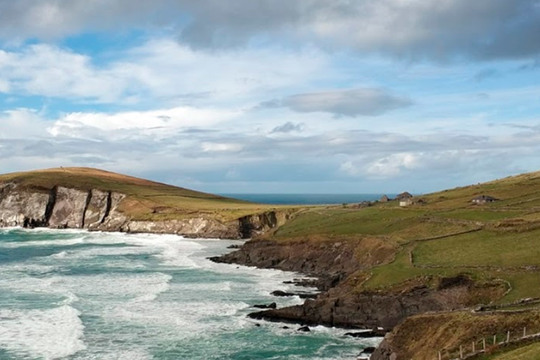 For travellers planning an Irish vacation, Kennedy & Carr may be the right choice. Based in Dublin, we combine sightseeing, culture and enjoyment on intriguing itineraries. Enjoy a tailor-made private journey or join a small group on an award winning scheduled tour. Either way, we look forward to making your holiday exceptional. 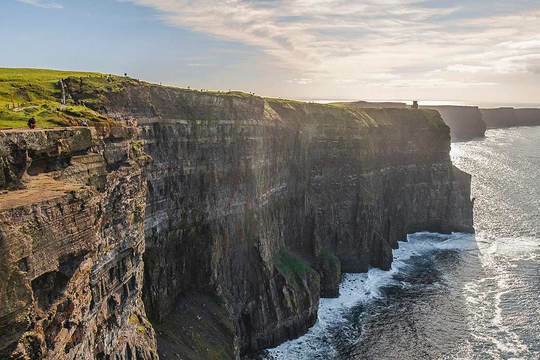 Choose from the widest selection of quality Ireland day tours on the market including the Giant's Causeway, Cliffs of Moher, Wild Wicklow & Kilkenny, Connemara, Aran Islands, Belfast City, Waterford Crystal, Blarney Castle, Ring of Kerry and the Dingle Peninsula. Day tours are available from Dublin, Belfast, Cork, Killarney and Limerick. Shore tours are also available from the ports at Dublin, Belfast and Cobh for those of you on cruise vacations. Tours run 363 days of the year and include free-airport transfers and free onboard Wi-Fi. Short on time but want to see as much of Ireland as possible without having to rent a car or stand at rural bus stops in the rain? We’ve got you covered. The multi-day tours range (2, 3, 4, 5, 6, 9 day options) includes itineraries to every part of the country departing 52 weeks of the year. 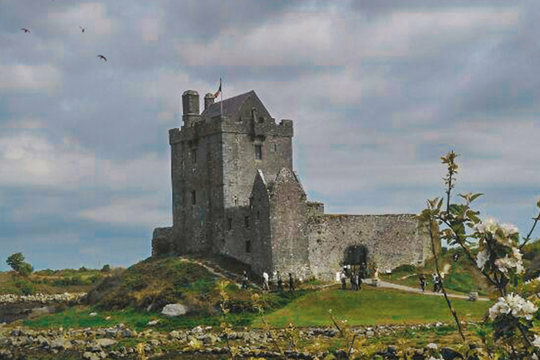 Whether you'd like to visit one region or like the idea of touring the whole island of Ireland you are likely to find what you are looking for in this section. Furthermore, the multi-day tour portfolio has been selected with value in mind-choose between two kinds of budget accommodations that won't break the bank. If you can find a better deal on a similar package we’ll eat our traditional Irish woollen hats! 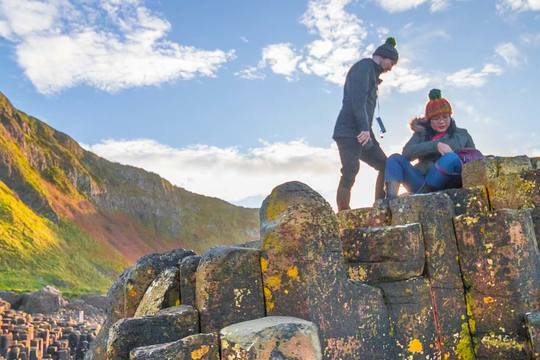 Have a group of people who are planning an Ireland vacation together? We’d be delighted to assist. With years of experience delivering world class arrangements we have the local knowledge, contacts and infrastructure to make sure that your trip lives up to its fullest potential. We'll take care of all the logistical hassles from initial itinerary planning to final goodbyes at the airport. Our fleet of vehicles includes sedans, people carriers, minivans and coaches. Our driver-guides look after the logistics on the ground so that you don’t have to. Whether you are staying at the Ritz-Carlton or in a tent, we've seen and done it all before, so get in touch and find out how we can help. You are only a phone call or an email away from one of the best vacations of your life. My family and I closed our week long trip to Dublin with a special Cliffs of Moher tour just for us. As it was the day before St. Patrick’s and Dublin was heaving at the seams we didn’t feel like sharing this long tour with hundreds of others. Kennedy & Carr promptly booked private arrangements for us, and we knew we had made the right choice when Dave arrived promptly at our hotel in a state-of-the-art Mercedes minivan. After discussing what interested us most, he effortlessly crafted an itinerary that made our day. We visited all the sights, had stops for restroom, snacks whenever needed (great when travelling with children) and photos too. Dave was a perfect guide and knew the best place for lunch to make the whole family smile. Whilst relatively pricey (compared with group tours), we feel we received excellent value for money. A big thank you to Dave & Ruth. Cheers! My husband and I just wanted to let you know how much we enjoyed our private Ireland tour with Don travelling to Cork, Killarney and Galway. Not only was he an excellent guide; he was a pleasure to spend time with and a very safe driver on those tiny country roads. A real Irish gentleman! We look forward to recommending your services to friends visiting Dublin.